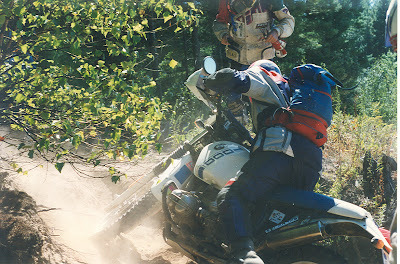 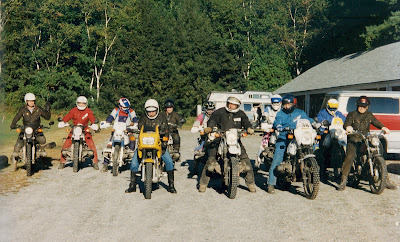 My former RAMS teammate, Dave Latham of Massachusetts, won the New England Enduro Grand Championship back in the late 1960s, and 30-plus years later he won the senior class at a 6-day Transdanubia Ride in Hungary. 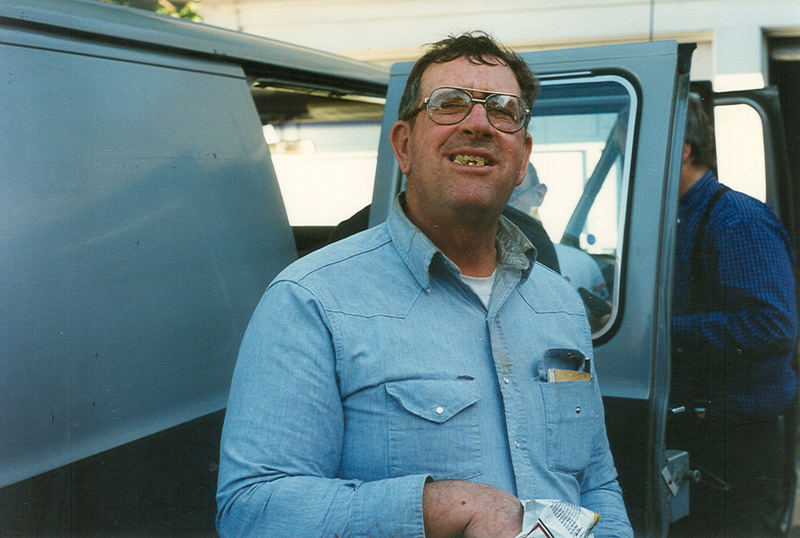 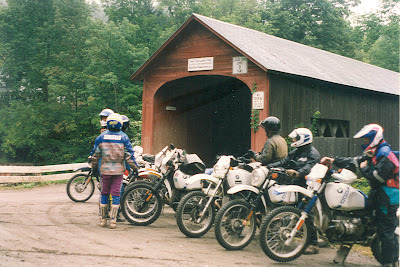 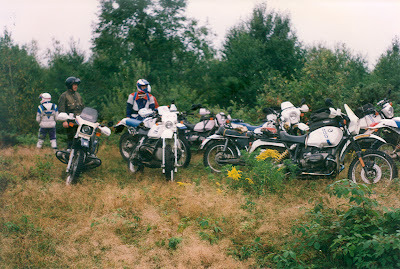 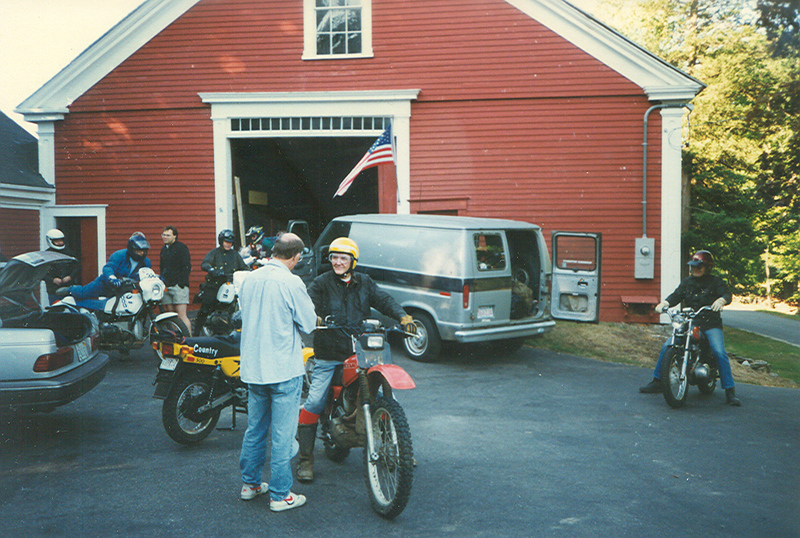 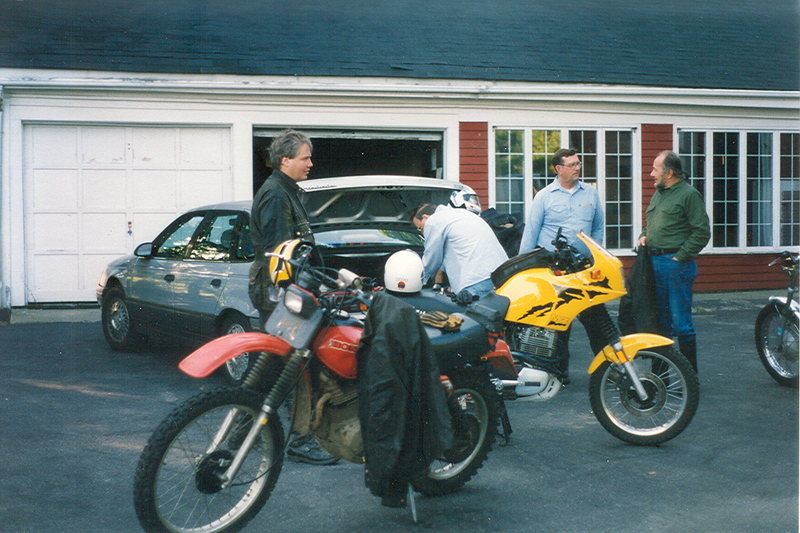 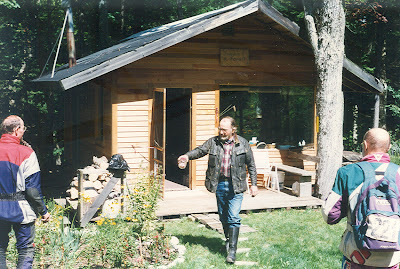 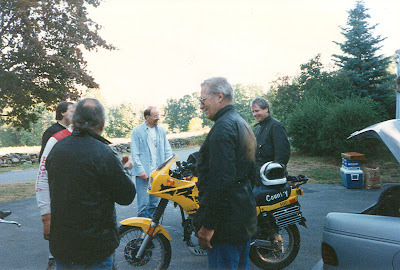 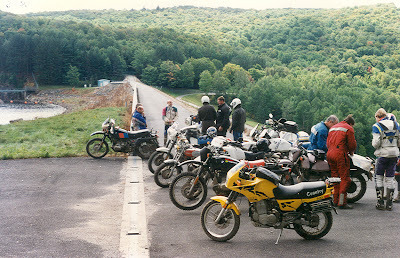 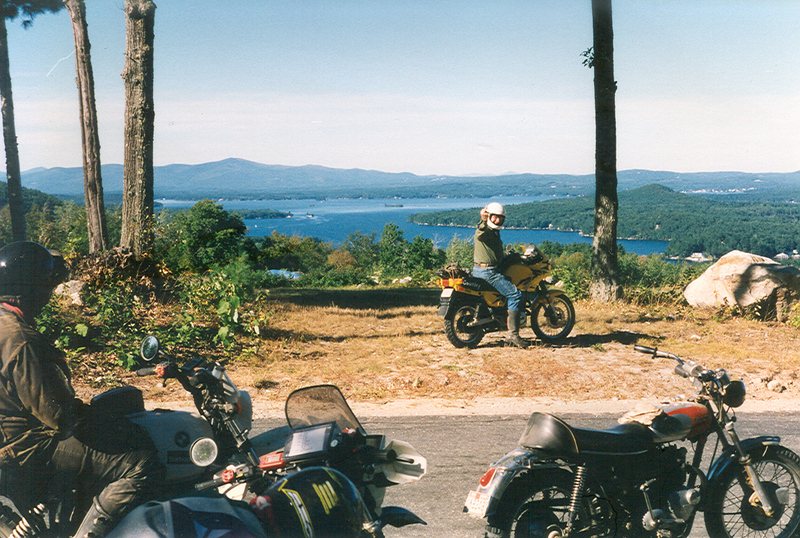 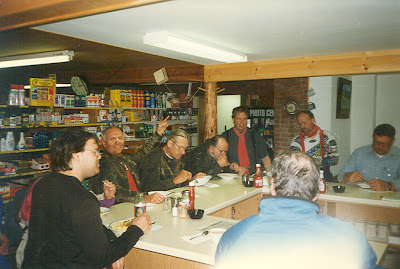 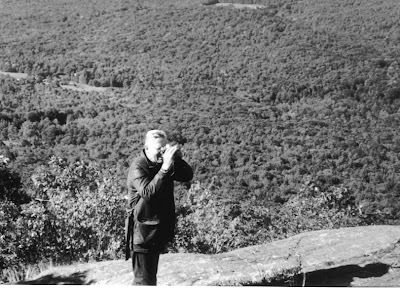 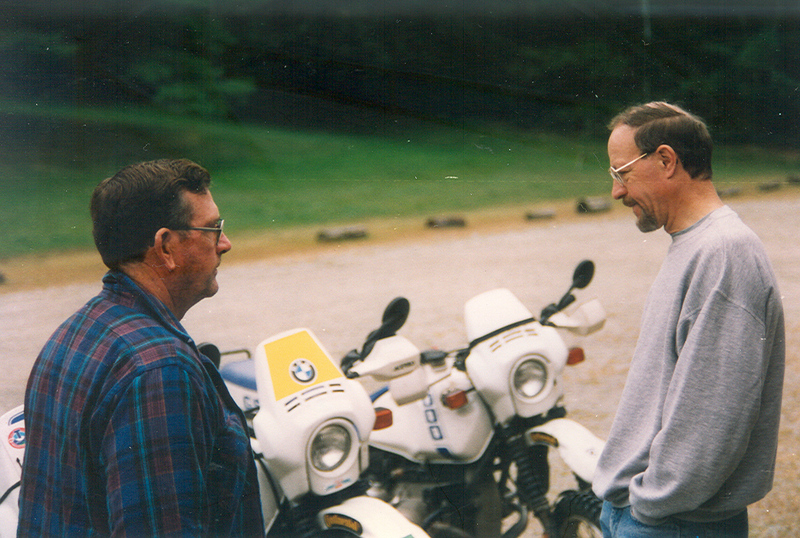 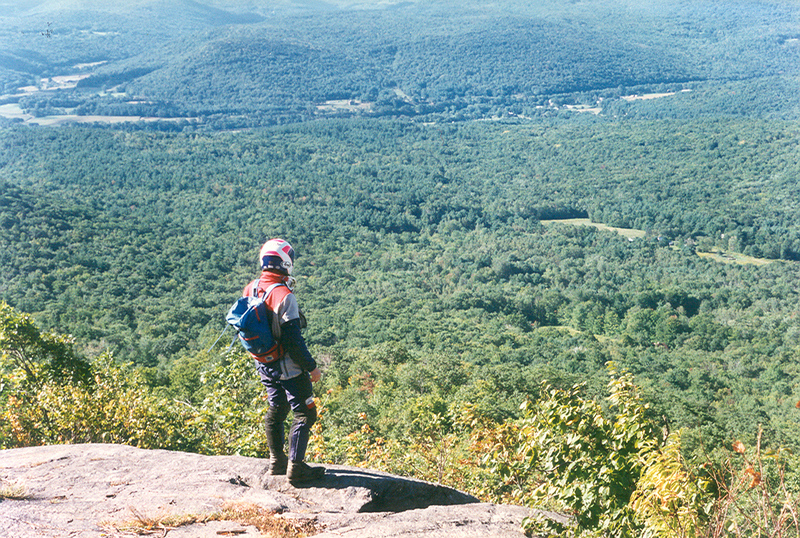 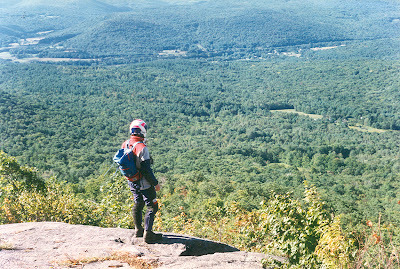 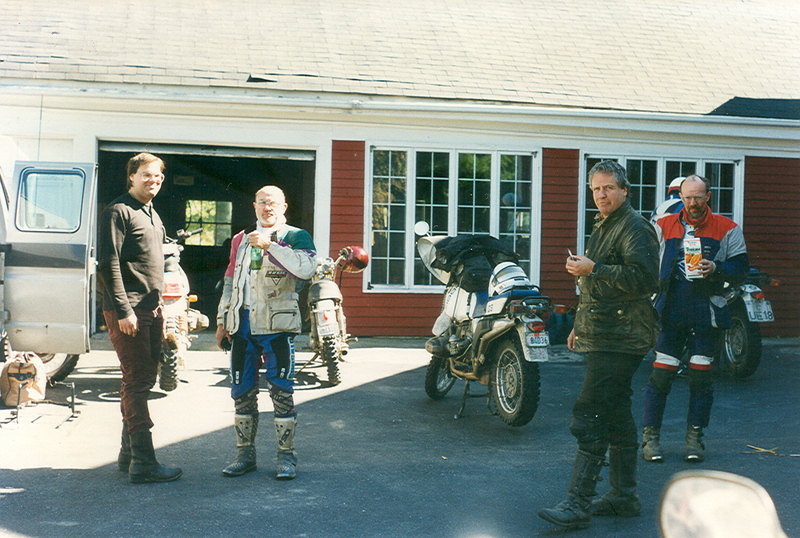 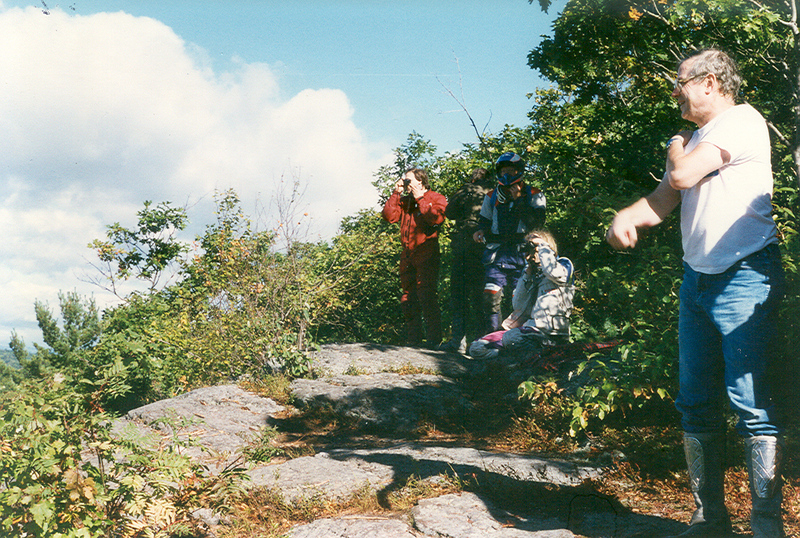 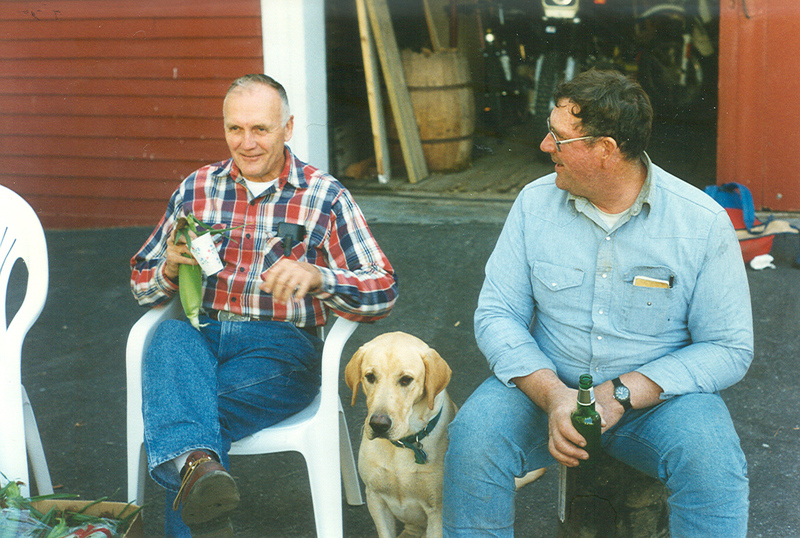 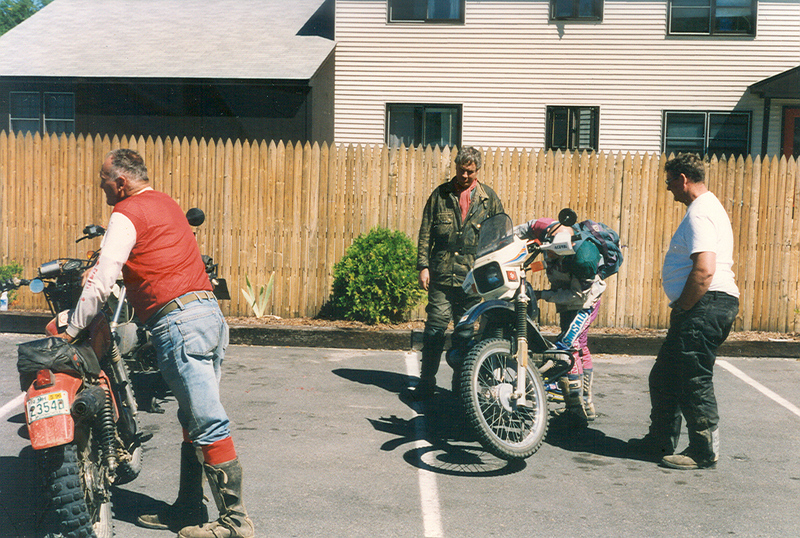 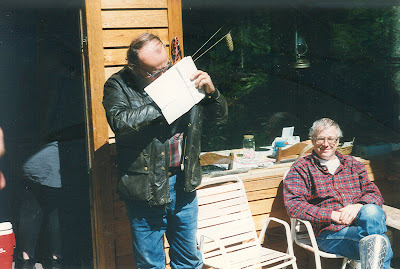 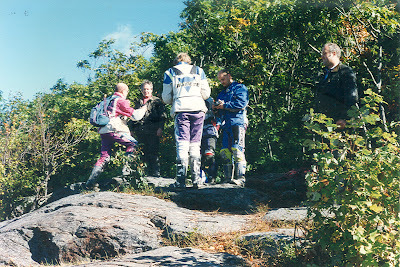 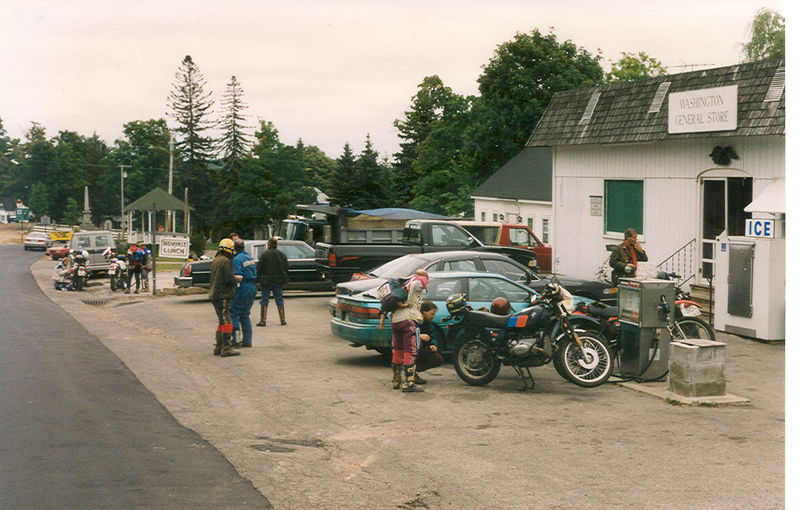 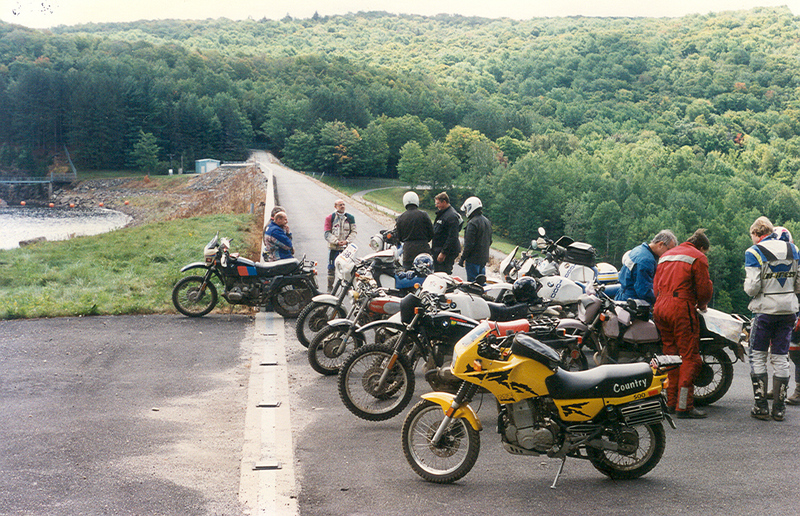 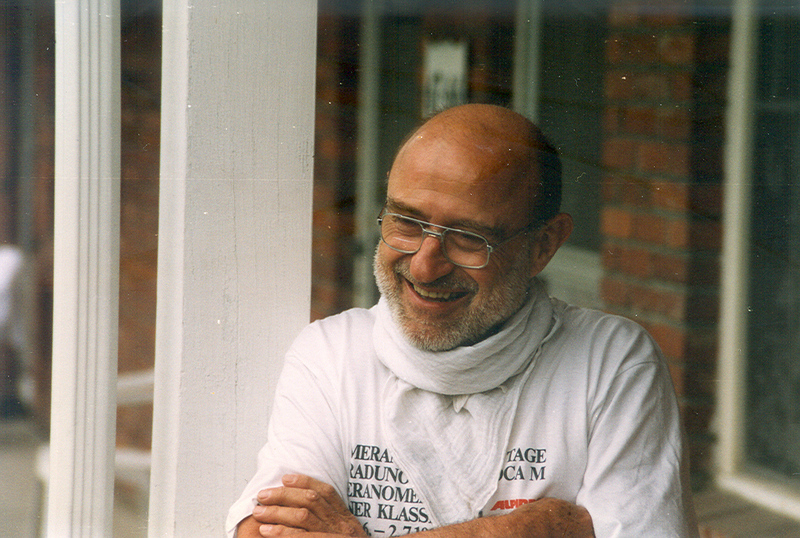 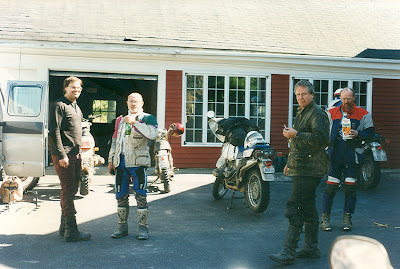 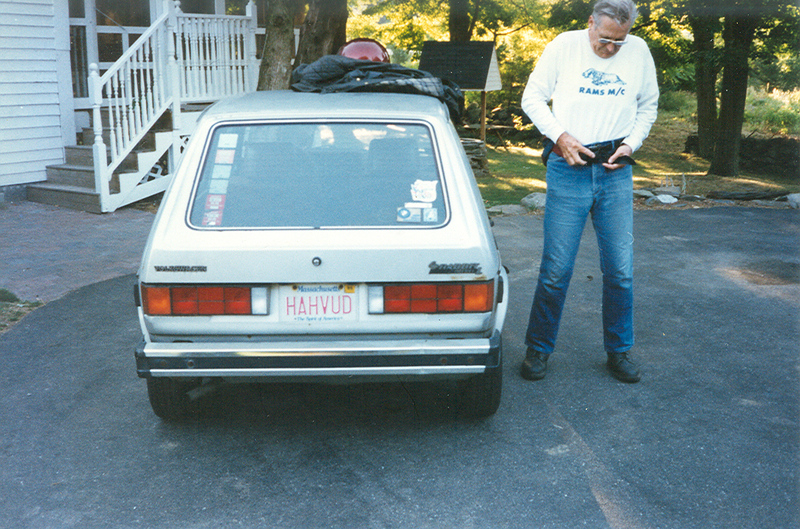 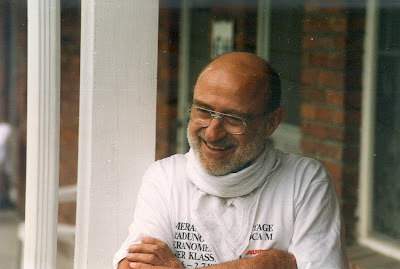 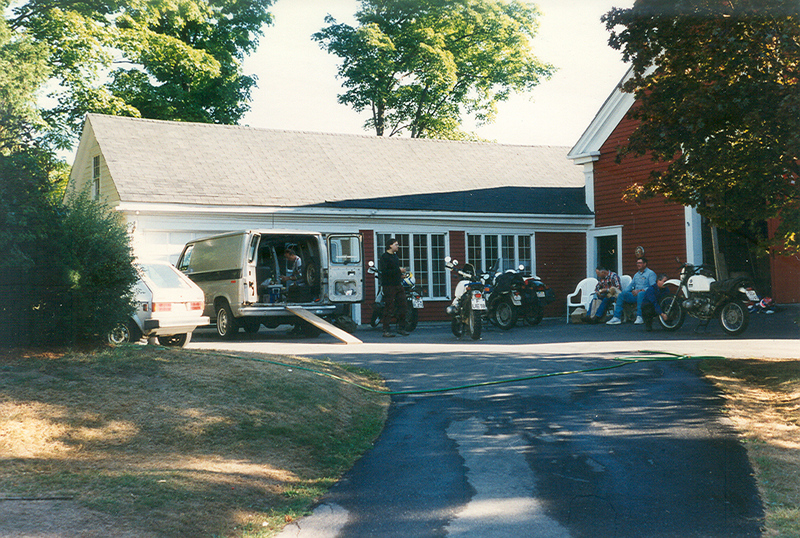 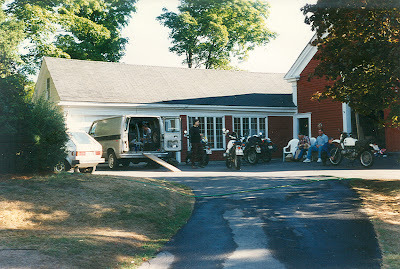 He made several new friends there and invited them to come to the US and ride with him in the Berkshires. 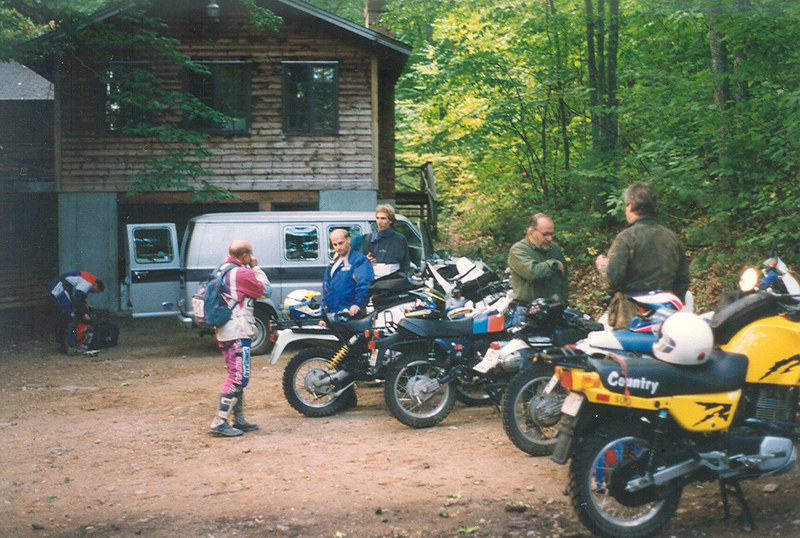 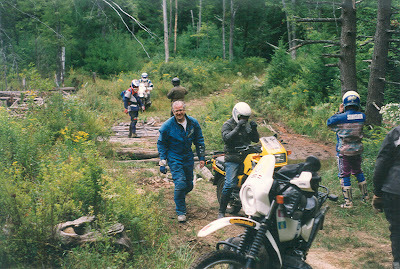 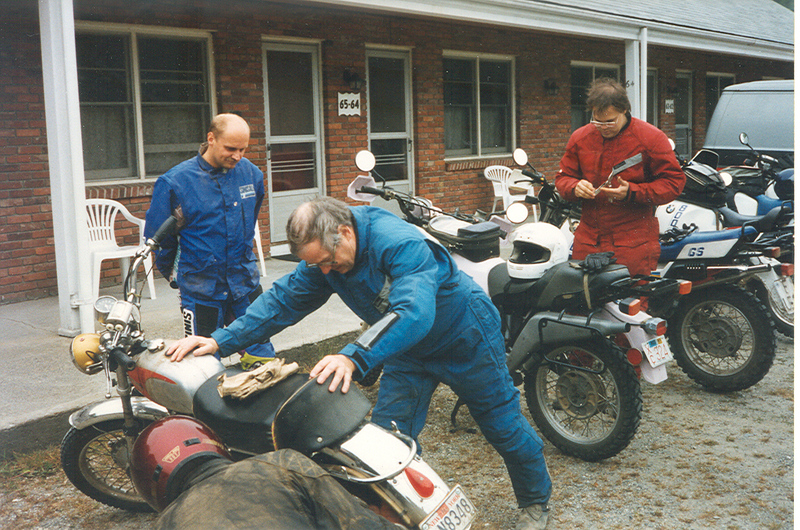 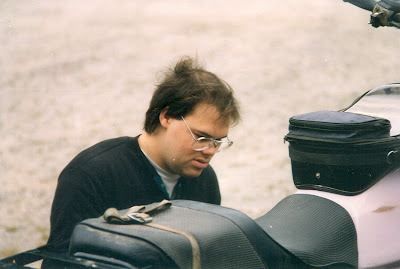 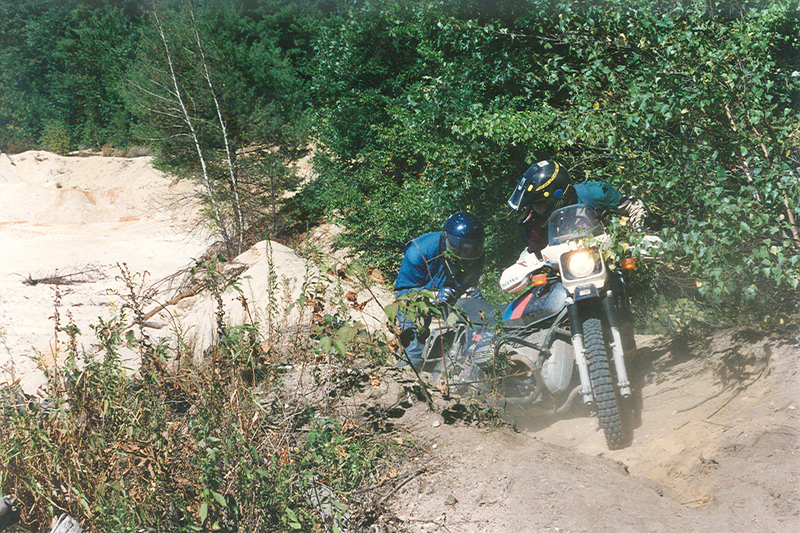 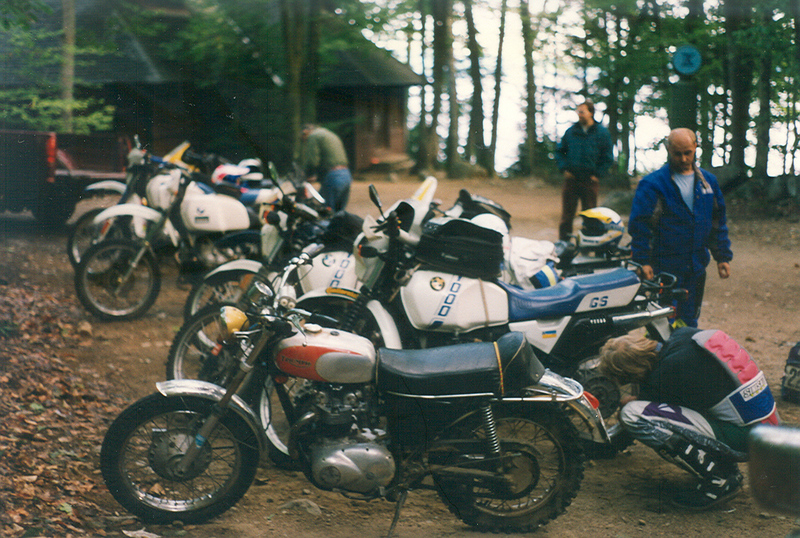 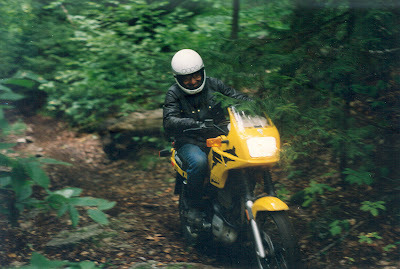 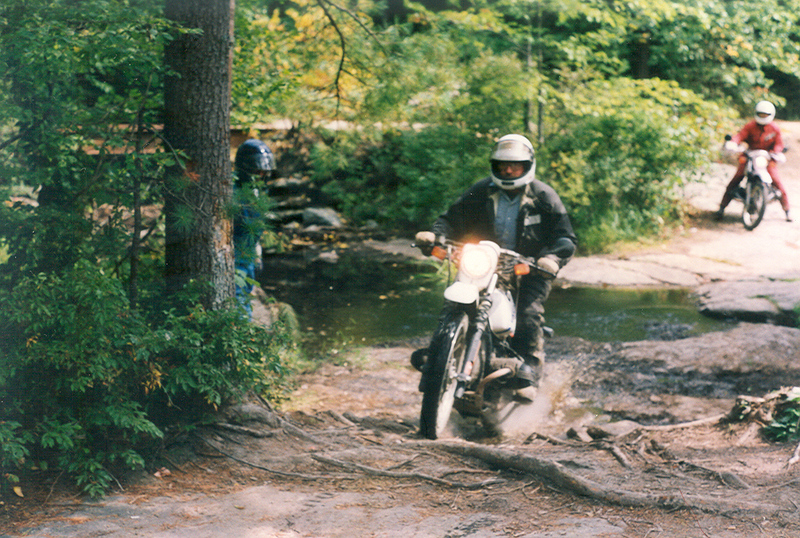 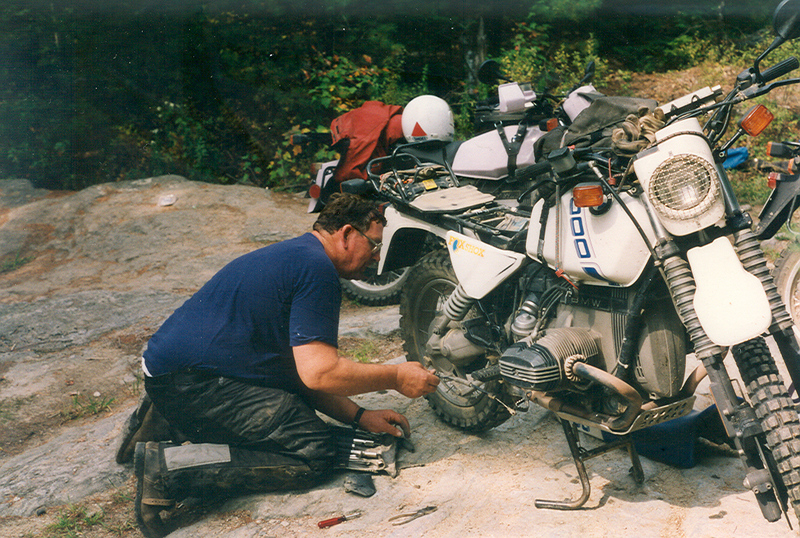 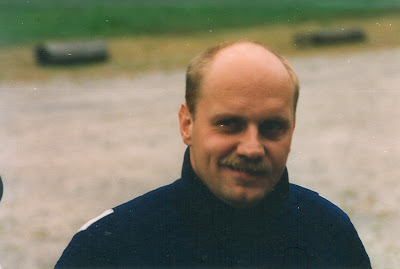 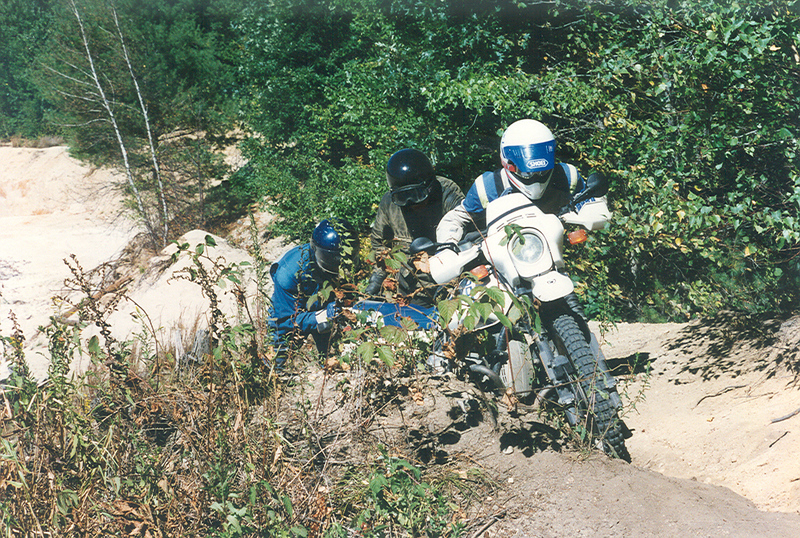 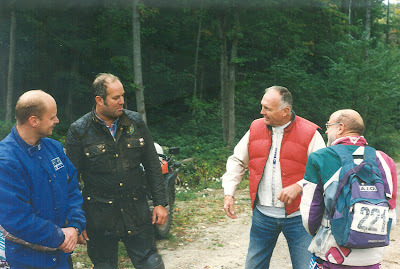 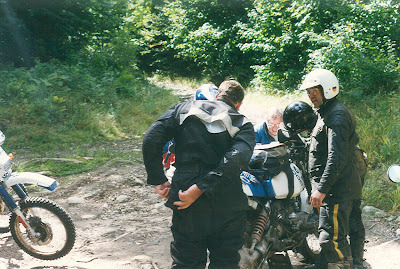 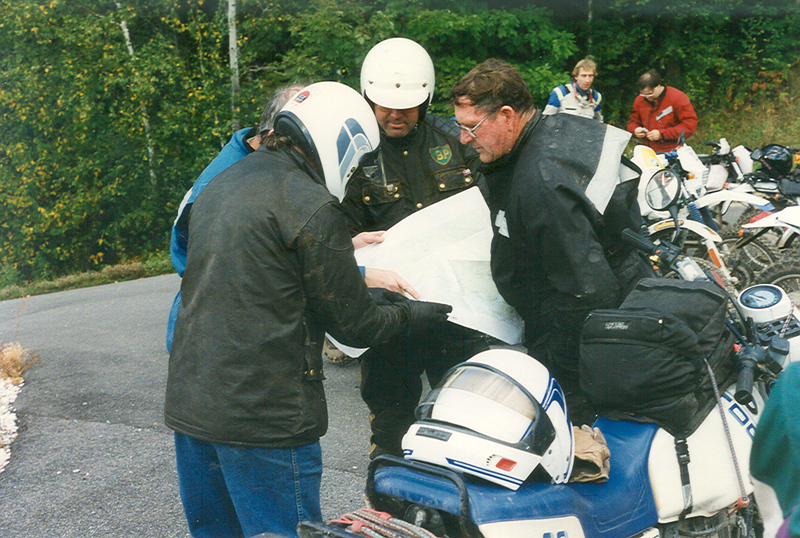 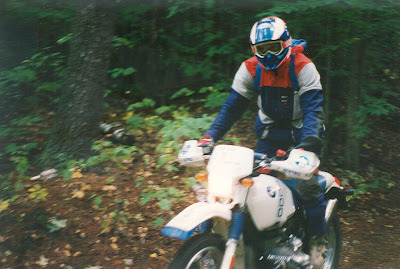 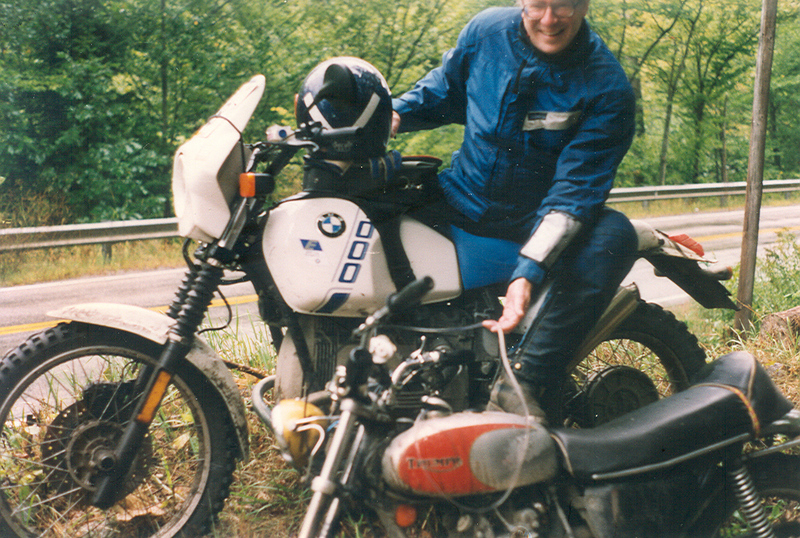 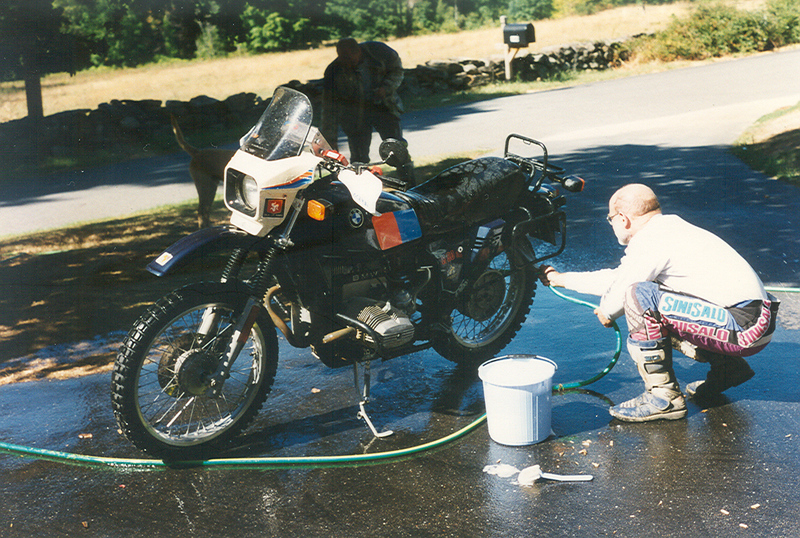 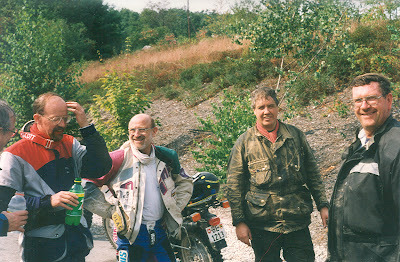 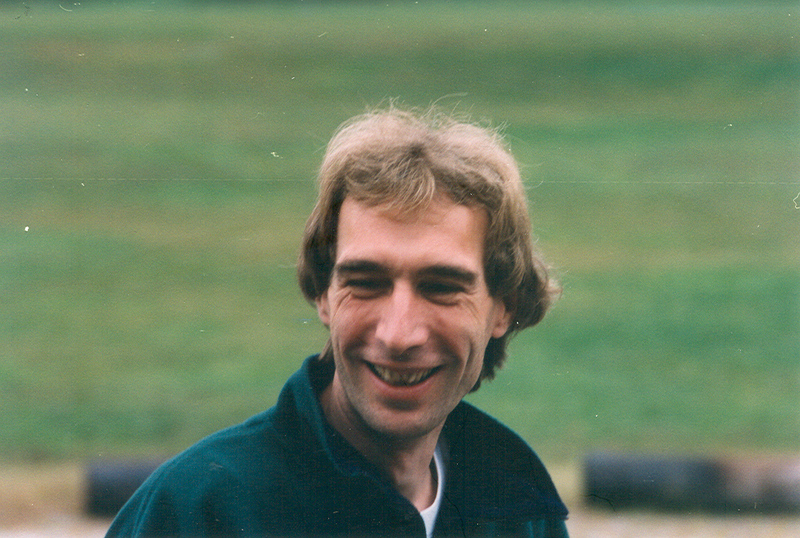 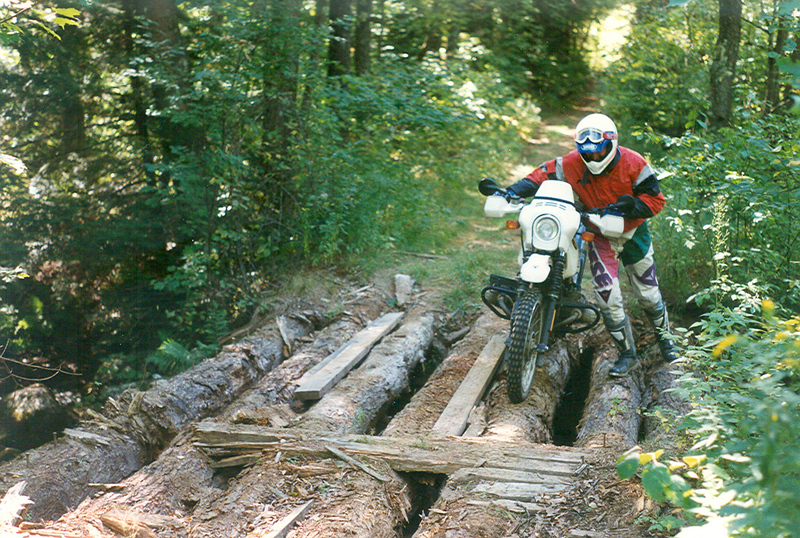 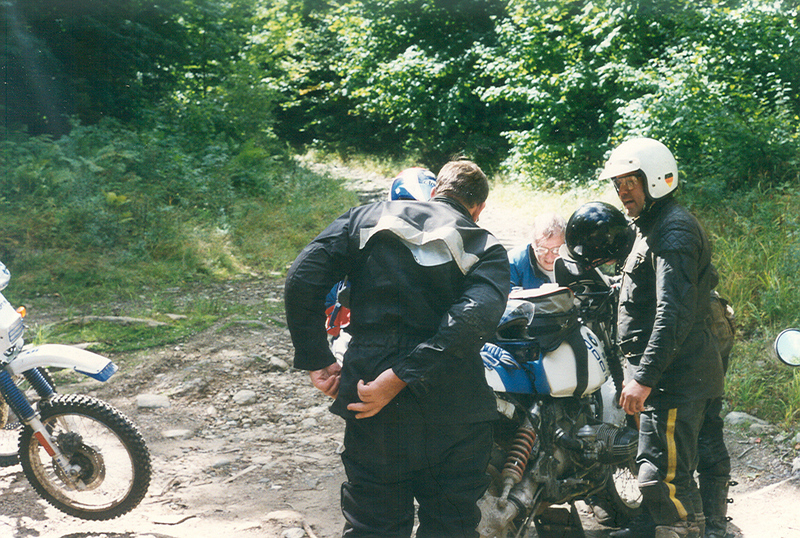 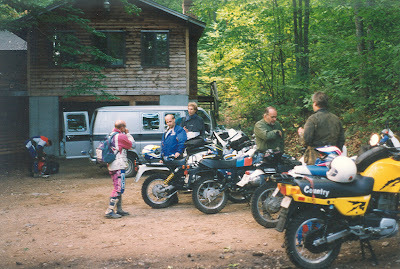 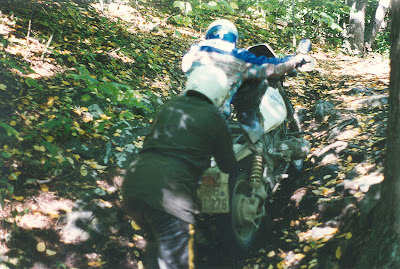 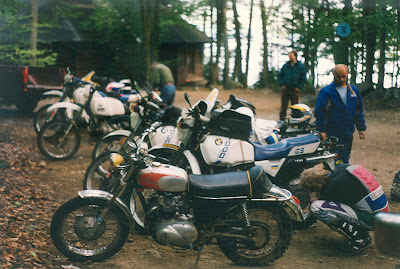 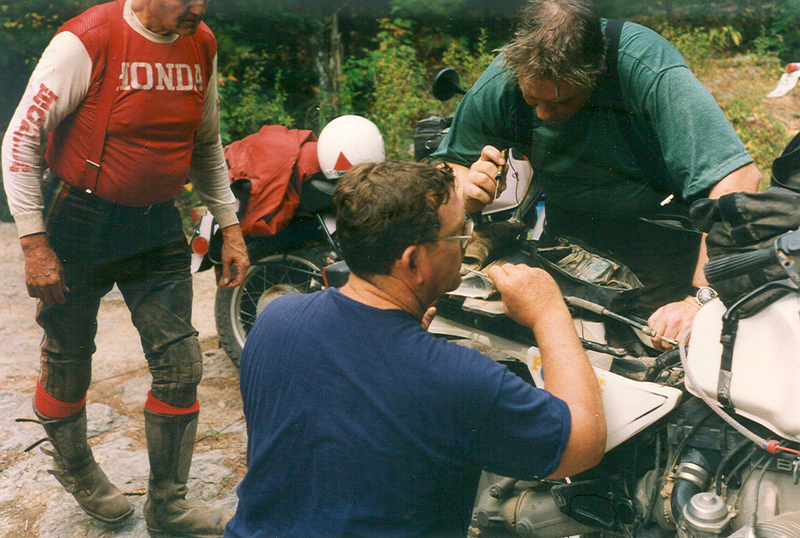 For the occasion, he put together a 6-day trail ride, to which five Germans and one Swiss rider came in 1995 with their 800cc and 1000cc dual-sport BMWs, specially equipped for off-road riding. 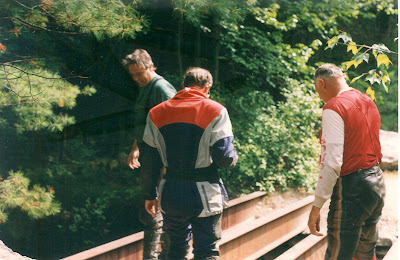 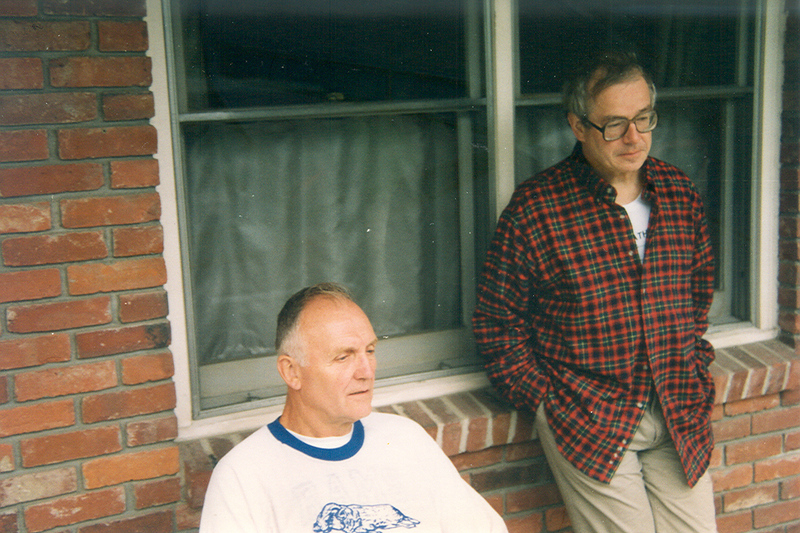 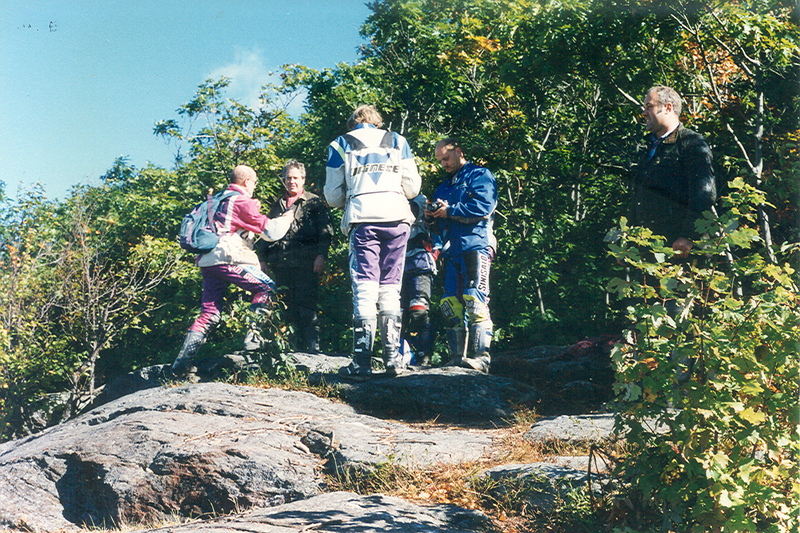 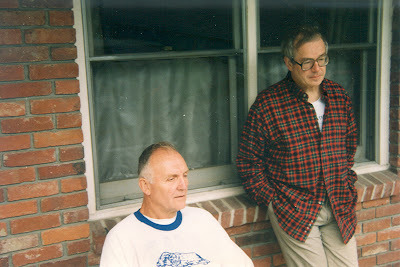 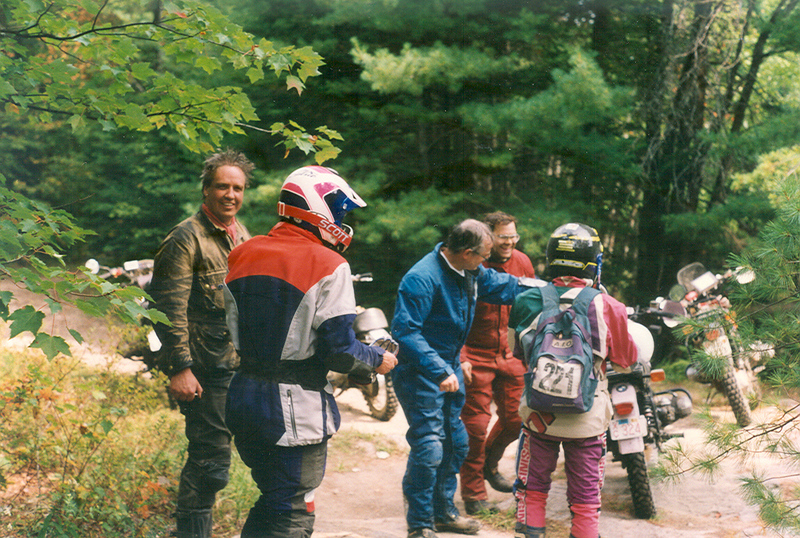 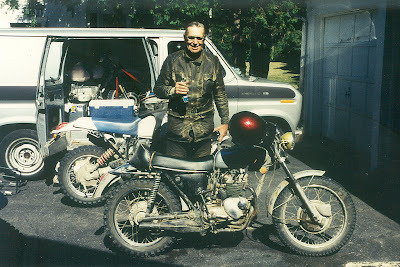 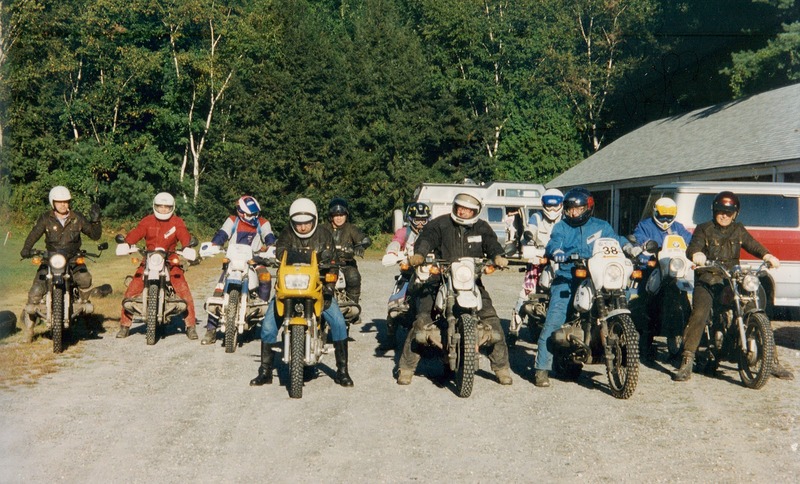 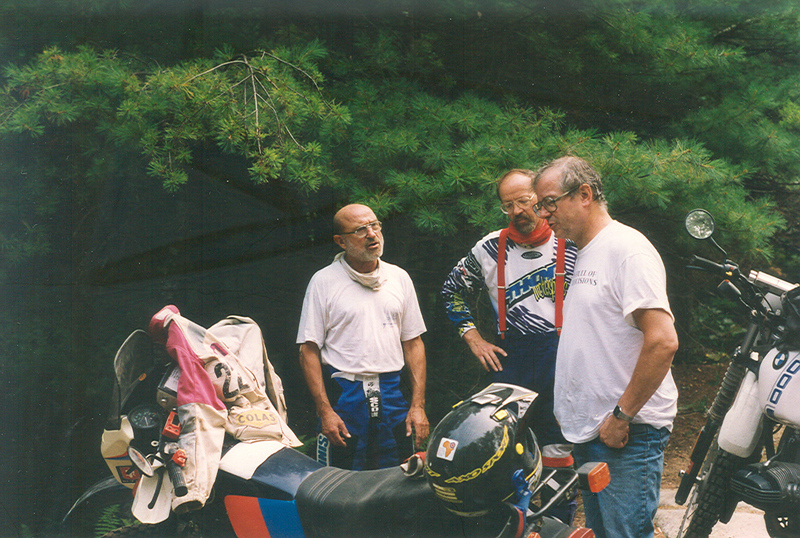 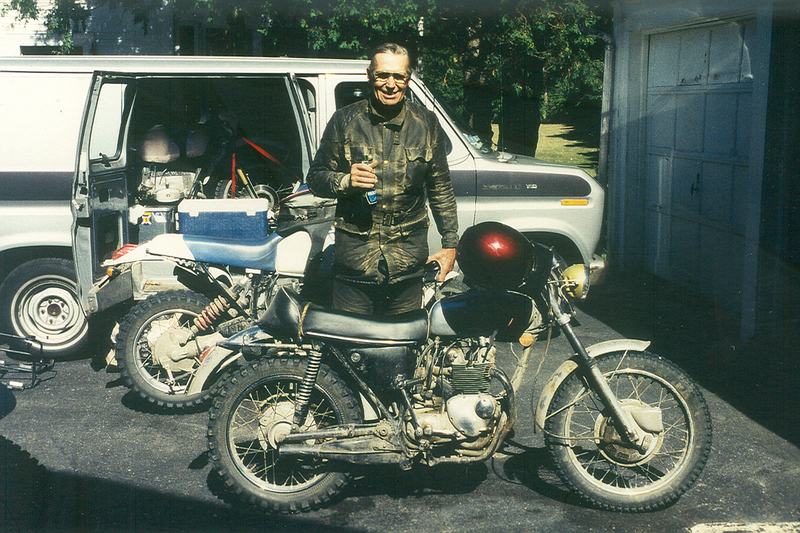 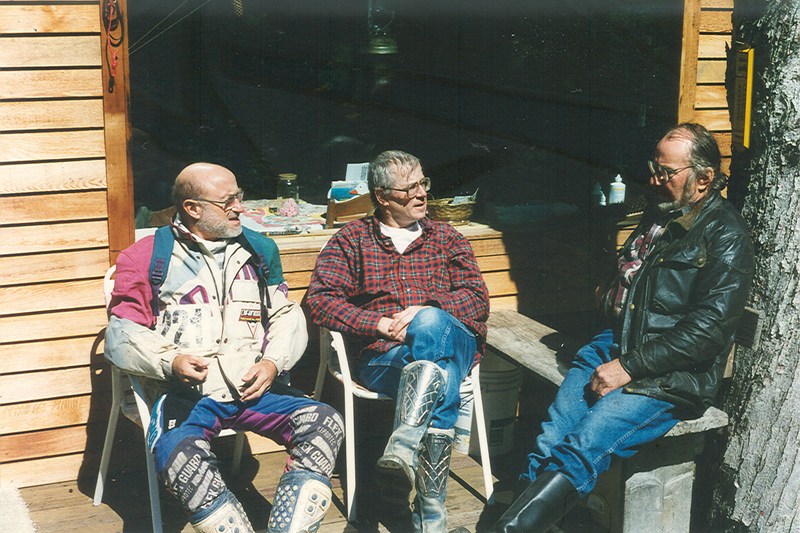 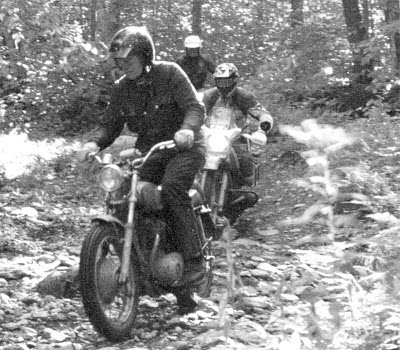 A few past New England Enduro Grand Champions from the 1960s were invited to ride with them, including Bud Peck, Frank DeGray and me. 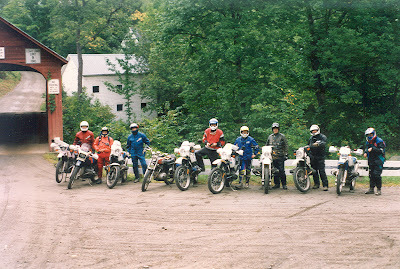 A total of about 15 rode all or part of the 6-day course. 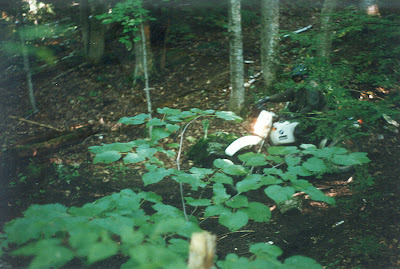 Jake Herzog helped with the layout and served as “sweep rider” for the six days to ensure that no one got lost or left behind. 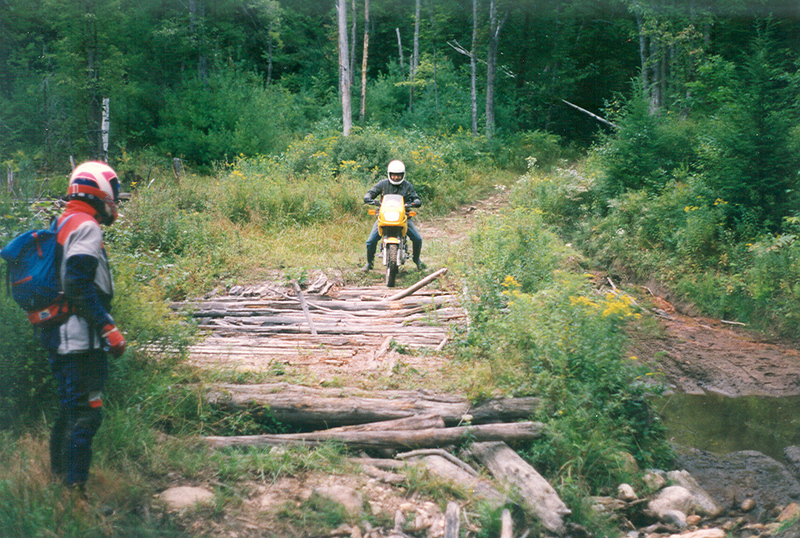 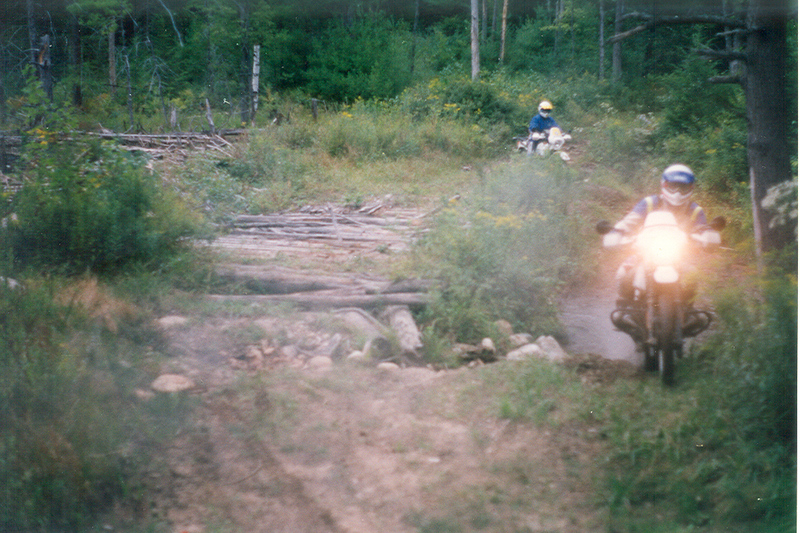 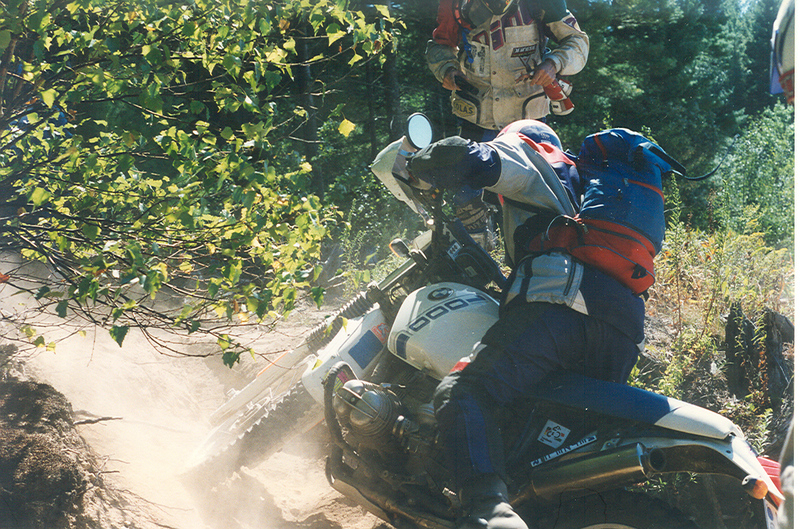 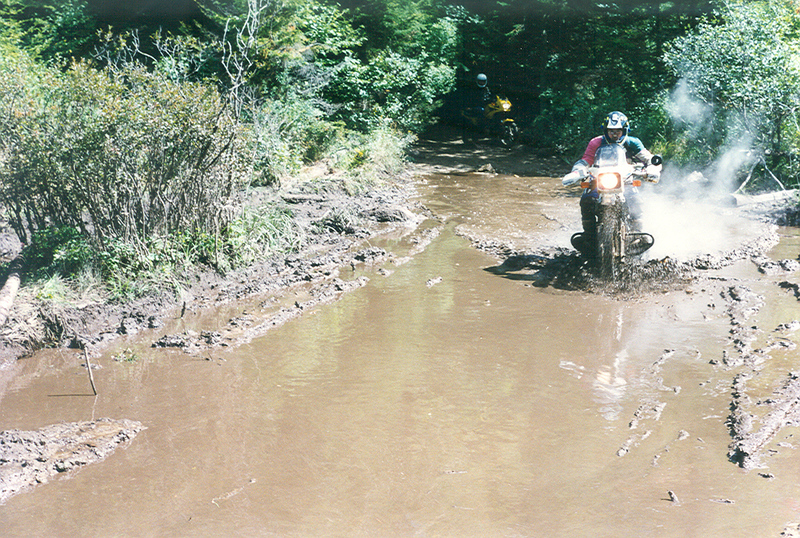 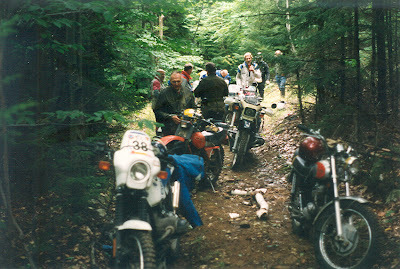 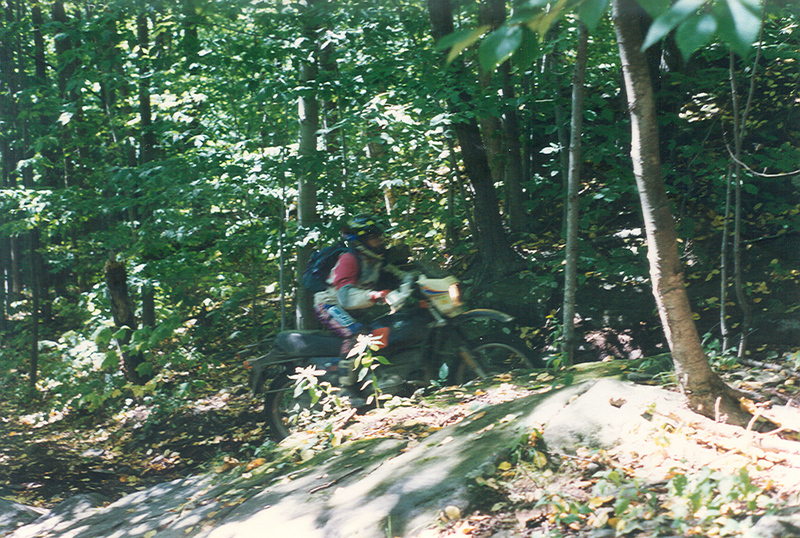 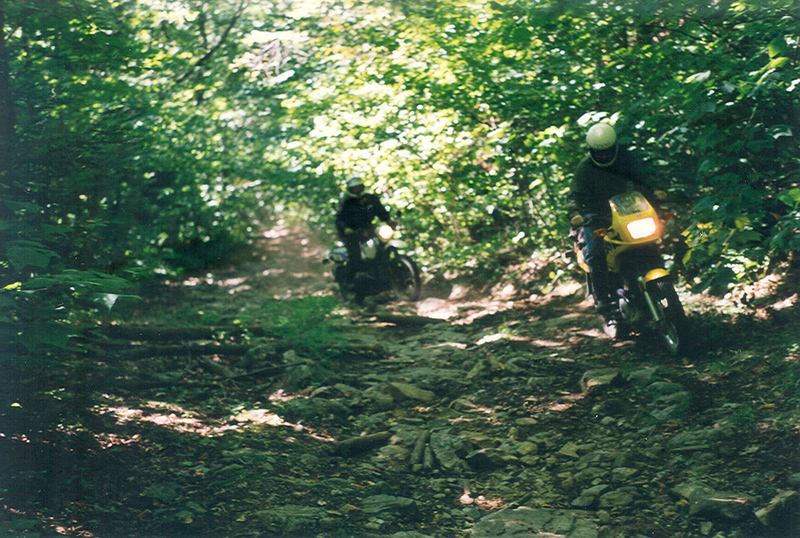 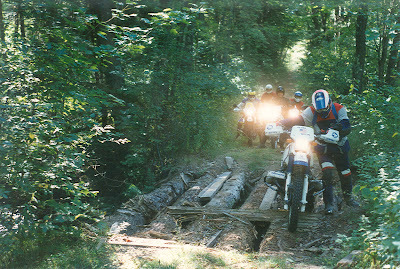 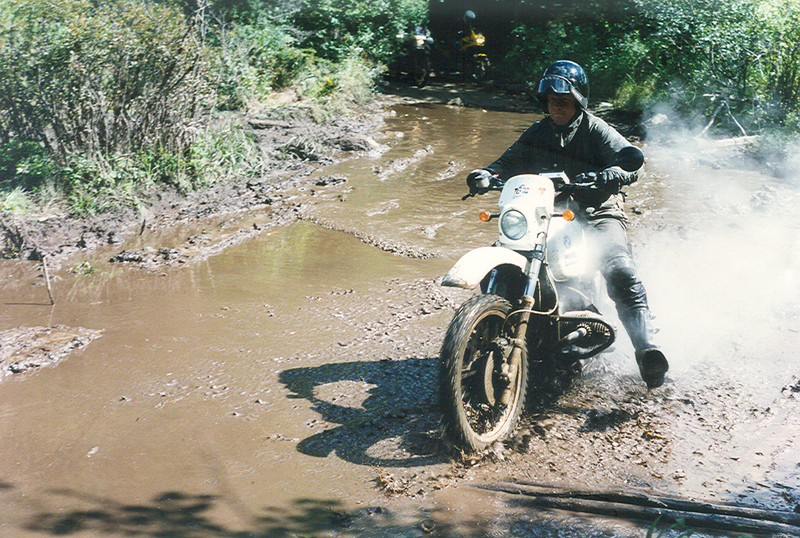 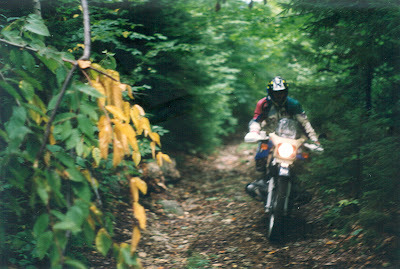 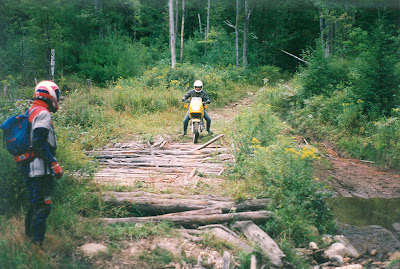 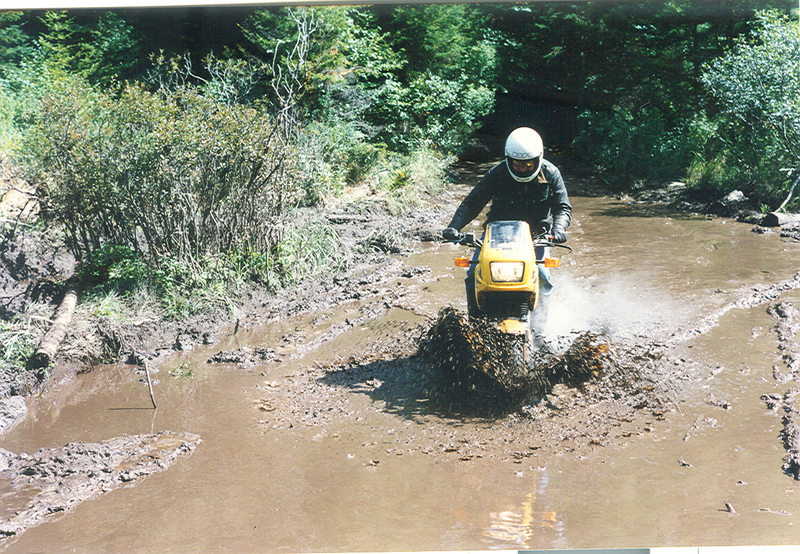 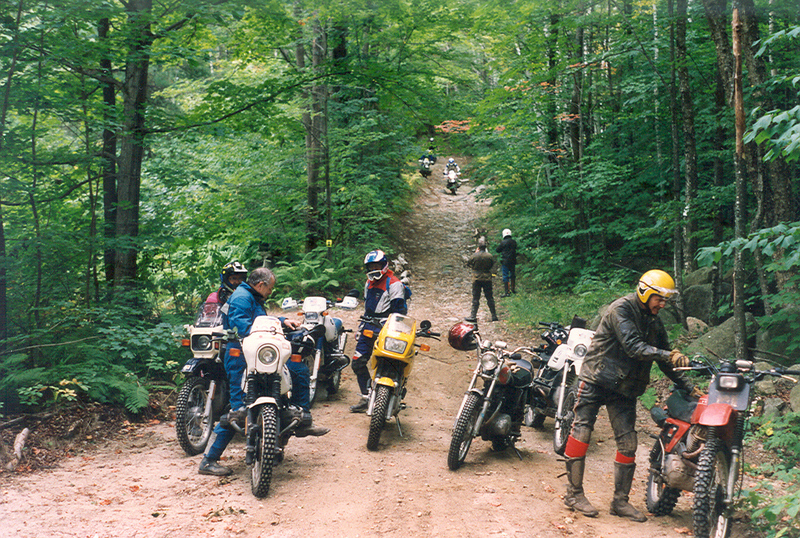 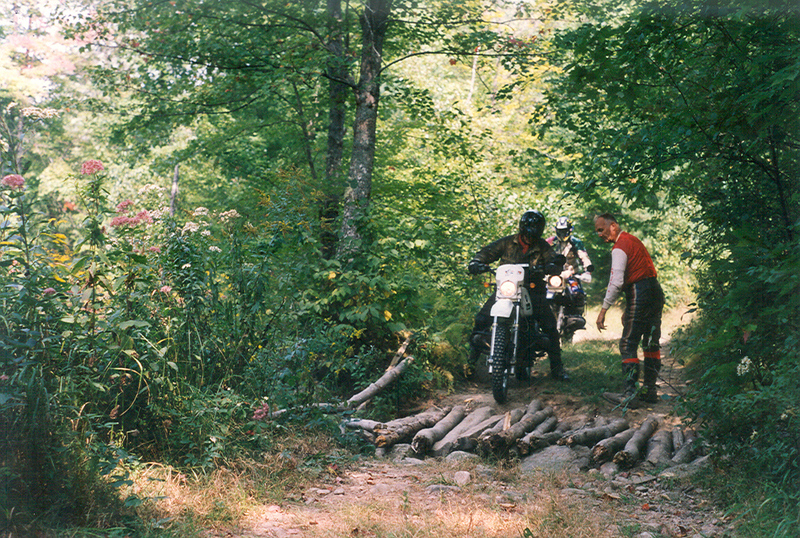 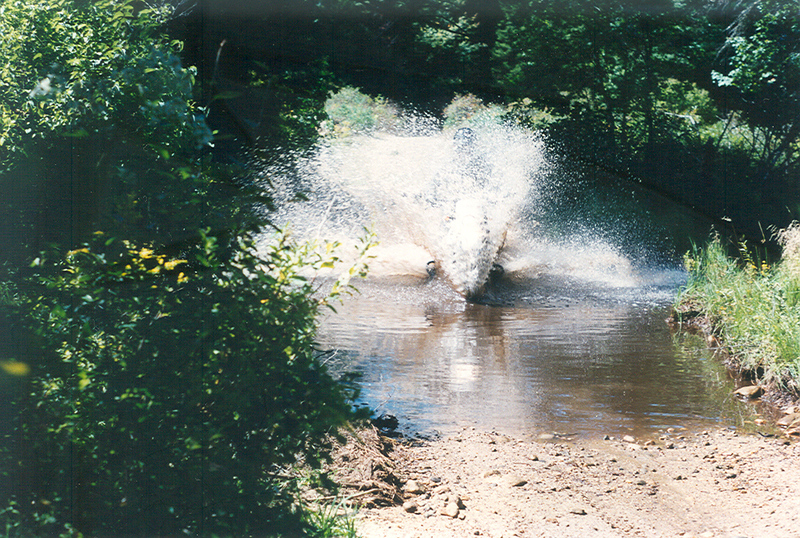 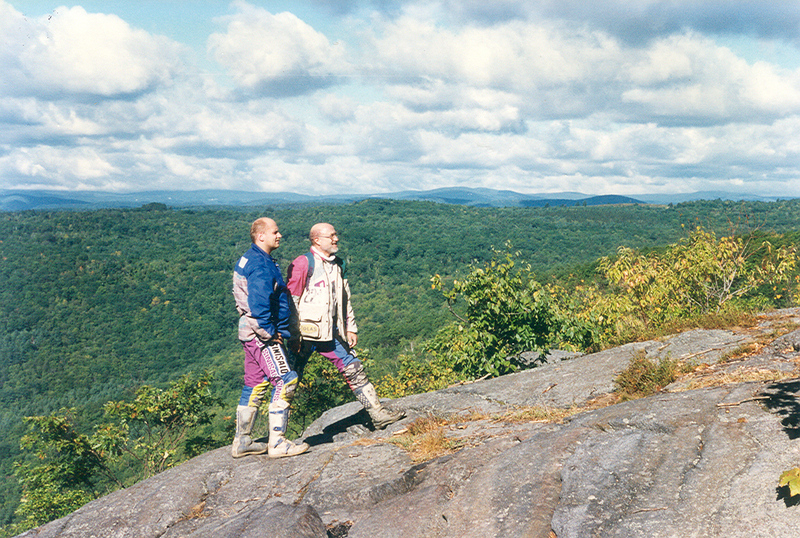 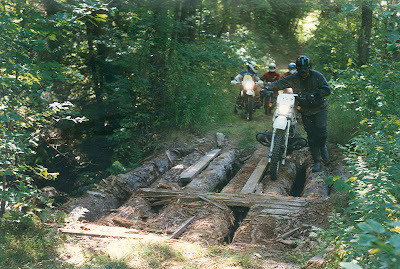 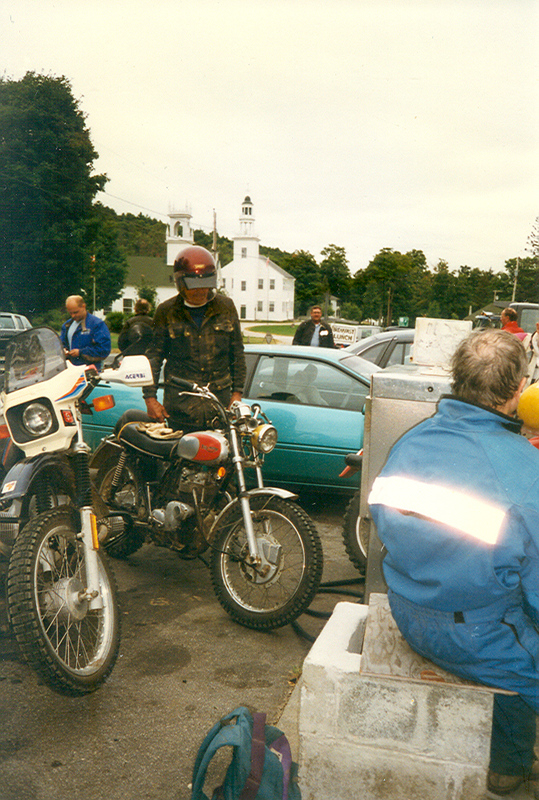 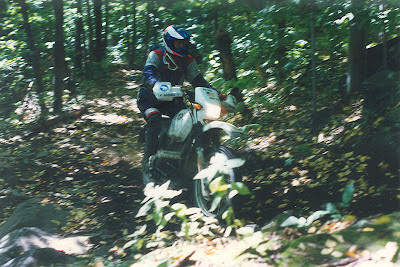 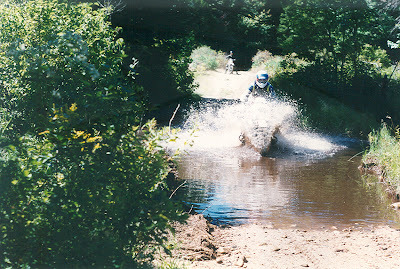 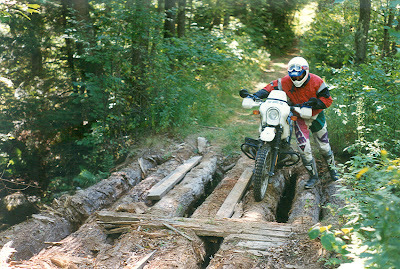 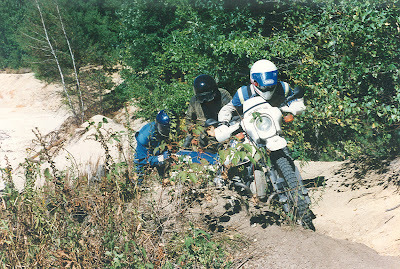 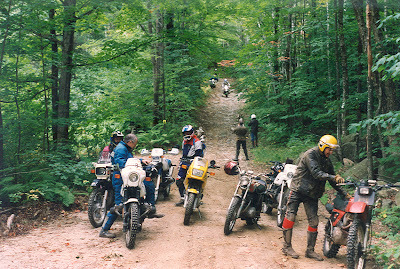 Many of the trails were the same used for the famous International Six Days Trial of 1973. 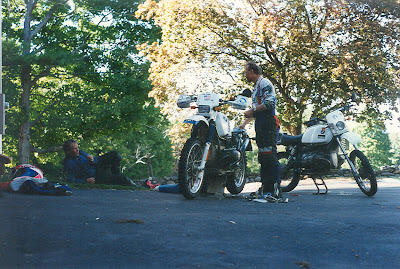 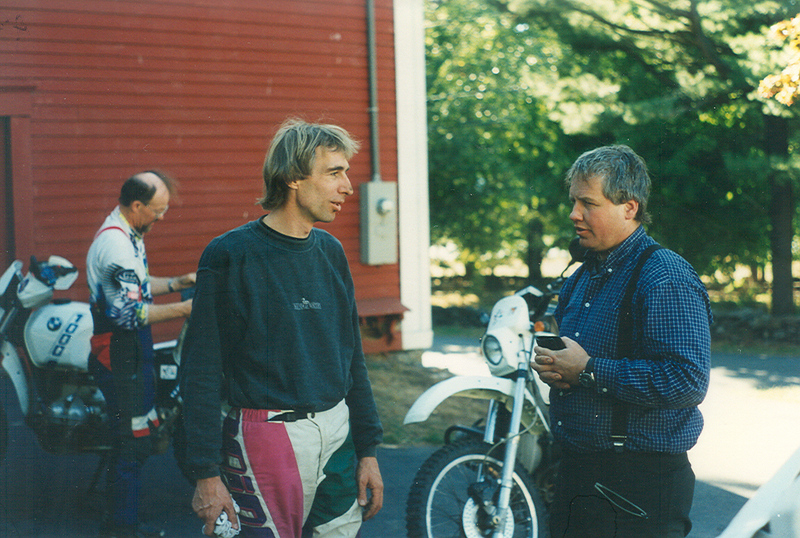 Although Dave, Jake and the Europeans all rode BMWs, most of the American riders rode other brands. 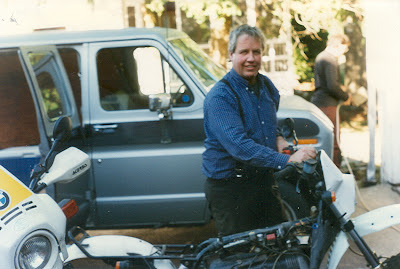 I originally planned to ride my 1979 Honda XR500 enduro bike but it broke down days before the big ride, while I was getting it and myself in shape. 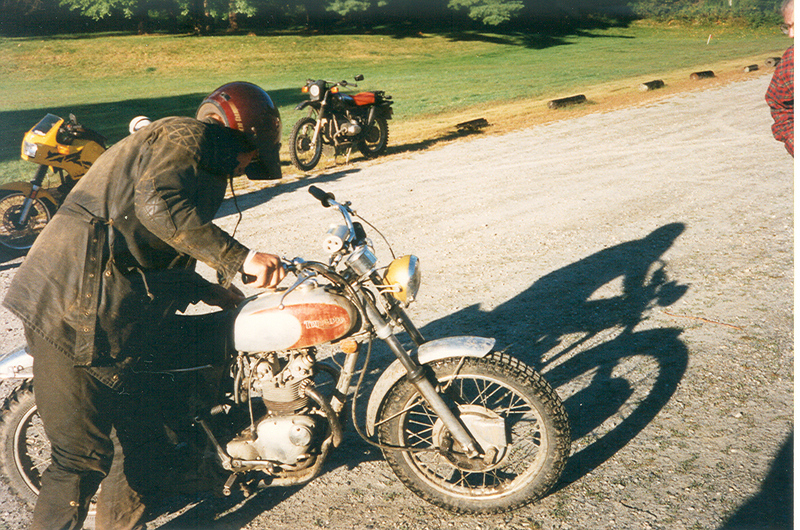 I eventually rode my 1973 Triumph that had been sitting idle in a remote garage for almost 20 years. 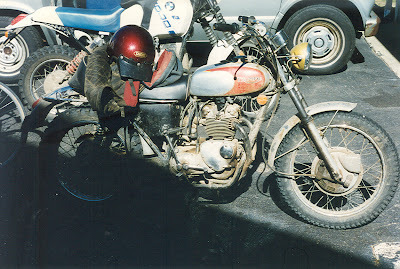 I dug it out, put air in the tires, cleaned out the carburetor, dressed the ignition points and put gas in the tank; after which it started with one kick. I rode it around my back yard a few times and immediately noticed that the foot brake and shifter controls were on opposite sides from the current standard, and also how much less comfortable it was than the newer machines. 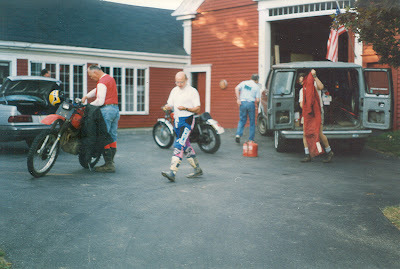 I wondered if my 70-year-old body would be up to the task, but eventually the bike and I lasted for the entire six days. 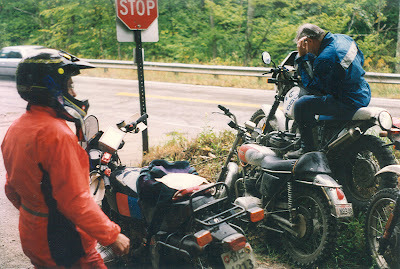 A 70-year-old "has-been" is still going on Day 6. Don't talk with the mouth full!